When they start out, most fledgling actors simply want to earn a livable wage in the profession. Obviously, when they leap this first hurdle, they then look to broaden their careers and see how far up the Hollywood echelon they can go. Some even reach a level where they’re recognized on the streets for their work, while a handful are even mobbed everywhere they go. But, after originally excelling, some actors never quite reach the level of fame that you assumed they would. In fact, here are 8 actors who should actually be way more famous than they actually are. Wouldn't you agree? 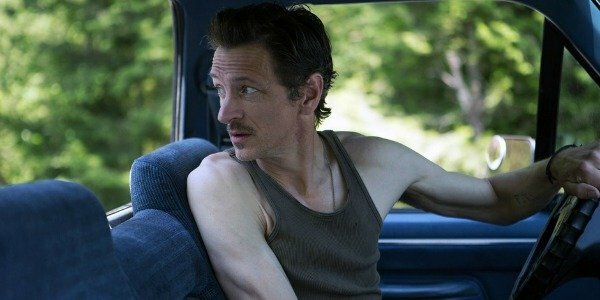 John Hawkes is the kind of actor that you not only immediately recognize, but who also improves a film just through his presence. It’s easy to see why, because he just oozes a rugged, workmanlike screen presence that is seldom seen anymore. Hawkes is also one of those rare actors who is able to move from the small to the big screen without an issue, bringing the same level of intent and talent to every performance. Hawkes’ workmanlike appeal comes from the fact that he has been a jobbing actor now since 1985. Over the course of the last 31 years, he has appeared in From Dusk 'Til Dawn, Rush Hour, I Still Know What You Did Last Summer, The Perfect Storm, Miami Vice, American Gangster, Lincoln, Everest, Martha Marcy May Marlene, The Sessions, and Winter’s Bone. The latter three saw him receive numerous award nominations, while he even received an Academy Award nomination for Best Supporting Actor for Winter’s Bone. Because of this, you’d have hoped for a Paul Giamatti or, maybe pushing it a tad, Philip Seymour Hoffman boost to his career. That has yet to materialize. But until it does, we’re all just happy for him to make even the most tedious of projects better. 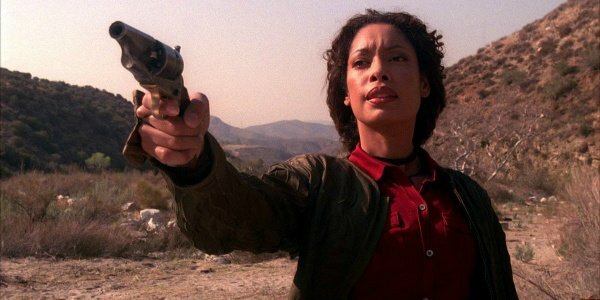 There was a period in the early 2000s when it looked like Gina Torres was about to become a bona-fide leading lady in the action genre. Her performances as Cas in The Matrix Reloaded and The Matrix Revolutions had proven that she had the cinematic muscle to flourish on the big screen, and this was boosted exponentially through her performance in Joss Whedon’s Serenity. Not only did she go toe-to-toe with leading man Nathan Fillion (another actor who probably should be more famous) but her performance suggested that this was just the beginning. Unfortunately, further roles of this ilk never materialized. In fact, her biggest role since the release of Serenity was in I Think I Love My Wife, the 2007 Chris Rock comedy. Instead, she has excelled on the small screen, taking leading roles in Suits and Hannibal. But despite her prowess on these shows, it’s hard not to wonder what might have been if she’d been given further cinematic chances. It says a lot about Ben Foster’s talent that despite appearing in the X-Men franchise, more was expected from the 35-year-old American. After bursting onto the scene opposite Justin Timberlake and Emile Hirsch in Alpha Dog, Ben Foster followed this up with performances in the huge Hollywood productions of X-Men: The Last Stand and 3:10 To Yuma, while his role in The Messenger earned him numerous awards nominations back in 2000. Ben Foster was in the perfect position to take Hollywood by storm. Unfortunately, it just hasn’t panned out that way. Sure, his work in The Mechanic, Lone Survivor, and Ain't Them Bodies Saints was impressive, but they all mostly flew under the radar. 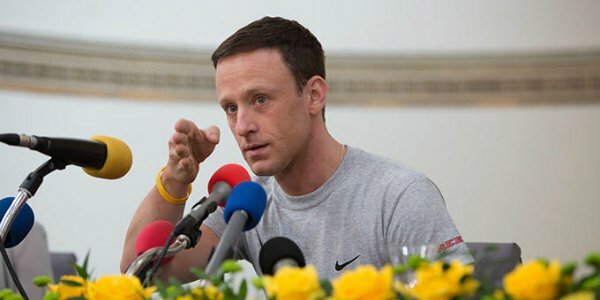 As has his performance as Lance Armstrong in The Program, which, once touted for a potential Oscar nomination, is instead being released under the radar almost a month after the Academy Awards ceremony. There’s still hope though, because he’s leading the way in Warcraft this summer. But if Warcraft is a flop, like the recently flopped The Finest Hour, Ben Foster will have to think long and hard about his next role, otherwise he could descend in obscurity. While on the face of it, Mary Elizabeth Winstead has a wholesome girl next door appeal, her performances are each underlined with a drive and intensity that permeates into her films. That’s why she has been perfect for a whole host of scream queen roles, which have seen her pop up in Final Destination 3, Black Christmas, Death Proof, and Abraham Lincoln: Vampire Hunter. But she’s also made sure to compliment these turns with more dramatic and complex roles, with her performance in Smashed being one of the finest of the last 5 years. Yet these have never quite earned her the recognition she deserved, while even her parts in big budget productions (Scott Pilgrim vs. the World, A Good Day To The Die Hard) didn’t push her further up the Hollywood ladder due to a poor box office return and critical response, respectively. That should all change with 10 Cloverfield Lane though. Because if its box office matches the critical reception it recently received, then Mary Elizabeth Winstead should have a franchise all to herself. Twice nominated for Best Supporting Actress Academy Awards for her performances in 2010’s Animal Kingdom and 2012’s Silver Linings Playbook, 68-year-old Jacki Weaver only came to the attention of American moviegoers in the last half a decade or so. But she was actually a huge star in Australia from the 1970s, thanks to her work in Stork, Alvin Purple, Peter Weir’s Picnic At Hanging Rock, and Caddie, which saw her win her second Australian Film Institute Award. Unfortunately, Jacki Weaver was unable to find role in film or television as she got older, which is why she wasn’t able to make the leap into American movies. Instead, the world of theater reaped the rewards of cinema’s oversight, as she played a role in several huge Australian productions, including A Streetcar Named Desire, and Death Of A Salesman. Sure, Jacki Weaver’s turn in Animal Kingdom finally allowed her to get her Hollywood debut with The Five-Year Engagement. But it should have come earlier. And if it had, she could have been rivaling the stature of Judi Dench, Helen Mirren and Maggie Smith. Great company to keep. 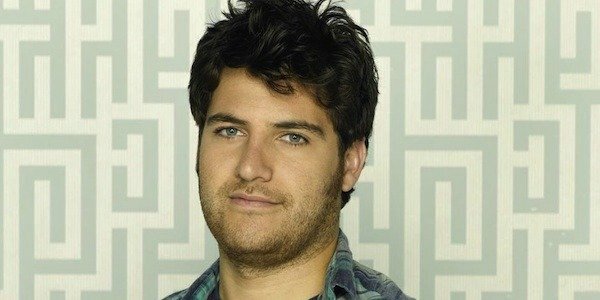 Adam Pally has the sort of rapscallion on-screen personality that would suit itself perfectly in Hollywood comedies. I mean, anyone who has ever seen Happy Endings or The Mindy Project knows just how consistently funny he can be, while still emanating a warm and likable persona that means you just want to become BFFs with him. But Adam Pally is yet to find the movie roles that have brought out the best of his comedic sensibilities. That’s not for the want of trying though, because Adam Pally has appeared in several low-budget comedies over the last two years (Slow Learners, Life After Beth, The To Do List) that have each failed to pop. While his appearances in bigger-budgeted comedies have either not been widely released (Search Party) or were just plain awful (Bad Grandpda). It speaks volumes that his most memorable role, to date, came in Iron Man 3 as Gary The Cameraman. But even though he was in the blockbuster for just a few minutes, Adam Pally still provided laughs, and proved that he should be given bigger parts. OK, so we all know who Ellen Page is. Having first wowed audiences with her performances in Hard Candy, a role that won her the Best Actress at the Austin Film Critics Association, and Juno, which quadrupled down on this success as she received Academy Award, BAFTA, Golden Globe, and Screen Actors Guild nominations, she then followed this up as Kitty Pryde in X-Men’s The Last Stand and Days Of Future Past, as well as Inception. Obviously she has done well for herself. Which, considering how she can swerve from comedy to drama so deftly, while always remaining on point with her characterization, was always likely to happen. 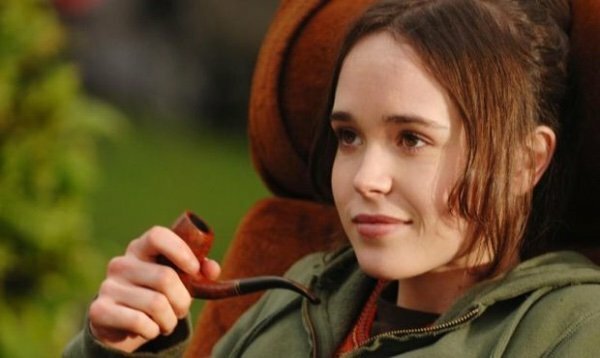 But, barring Days Of Future Past, Ellen Page has somewhat disappeared from the movie landscape over the last six years. Hopefully this is just a brief blip in her career though, and we all know that she has acting ability to slip back in as if she’s never been away. The worry is though is that there just aren’t enough challenging roles out there for her that are different to what she’s already done. If that’s the case then shame on Hollywood. Fantastic Four’s catastrophic failure last summer wasn’t just bad news for 20th Century Fox, it was also devastating for those of us who have been watching Toby Kebbell’s rise ever since his debut in the cult British thriller Dead Man’s Shoes. 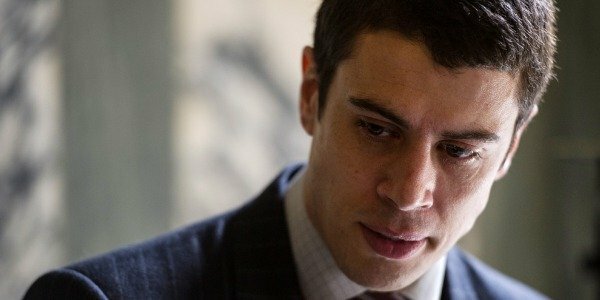 Since then Toby Kebbell has proven himself with stand out roles in Control and RocknRolla, before then steadily building his Hollywood reputation by appearing in Prince Of Persia: The Sands Of Time, The Sorcerer’s Apprentice, War Horse, and Wrath Of The Titans. His villainous double whammy in Dawn Of The Planet Of The Apes and Fantastic Four was supposed to move him further up the echelon. But while Dawn fared well, Fantastic Four’s failure stagnated his progress. But since he's appearing in Warcraft, Ben-Hur, and Kong: Skull Island, all of which are due out in the next 18 months or so, it's safe to say that Toby Kebbell is still right on track.